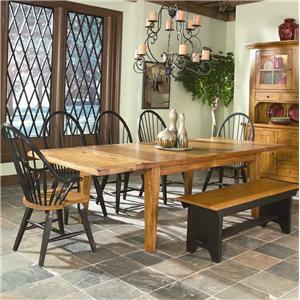 Treat yourself to a relaxing dining experience with this casual table. The trestle base, clean lines, and light stonewashed oak finish all contribute to its welcoming casualness. A self-storing leaf is also included to extend the table for extra dinner guests. Finally, the table's solid wood top is durable enough to last through many meals to come. 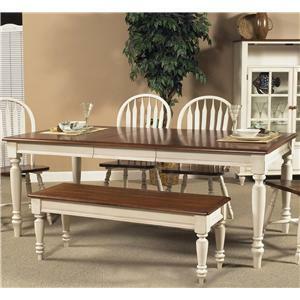 The West End Bungalow Casual Trestle Table with Self-Storing Leaf by Intercon at Dinette Depot in the Brookfield, Danbury, Newington, Hartford, Connecticut area. Product availability may vary. Contact us for the most current availability on this product. Each piece of this casual dining collection features a light stonewashed oak finish, clean lines, and an easygoing charm that give every meal a cozy and informal feel. Family and friends can be comfortably seated on the upholstered seats while they gather around the table with crucial dining items and utensils conveniently stored close by in the server. 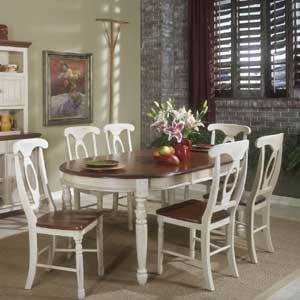 Additionally, the table has a self-storing extension leaf for the occasions when you are expecting extra dinner guests. 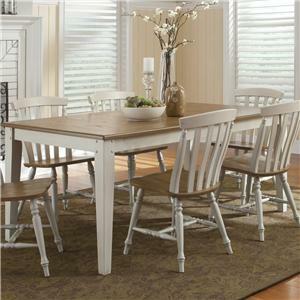 This casual collection will bring a relaxing dining experience straight to your home. 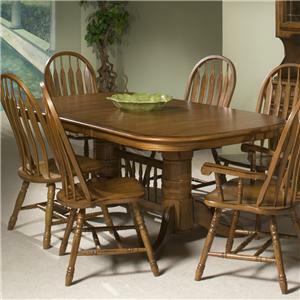 The West End Bungalow collection is a great option if you are looking for Casual furniture in the Brookfield, Danbury, Newington, Hartford, Connecticut area. 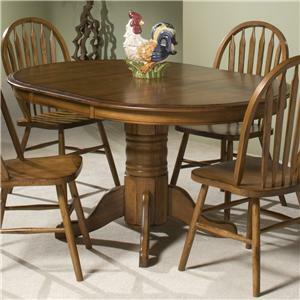 Browse other items in the West End Bungalow collection from Dinette Depot in the Brookfield, Danbury, Newington, Hartford, Connecticut area.